It's no secret we love a good IKEA hack around here, especially a simple one that transforms a basic lamp shade into a winter wonderland of shimmering mixed metallics. 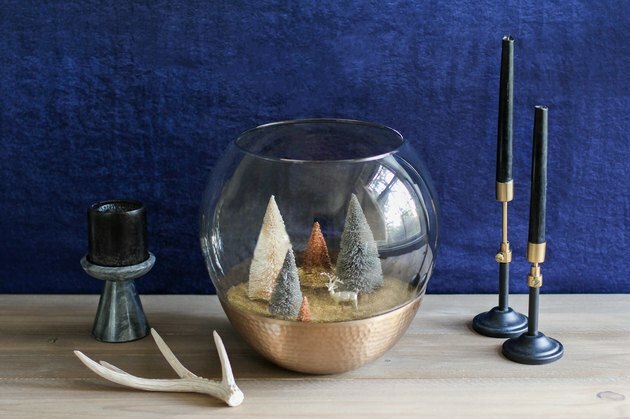 Playing off the smoky tones of the glass pendant, and with visions of a gilded forest dancing in our heads, we created a modern holiday scene that can shine as a centerpiece or add festive elegance to a shelf or mantel. 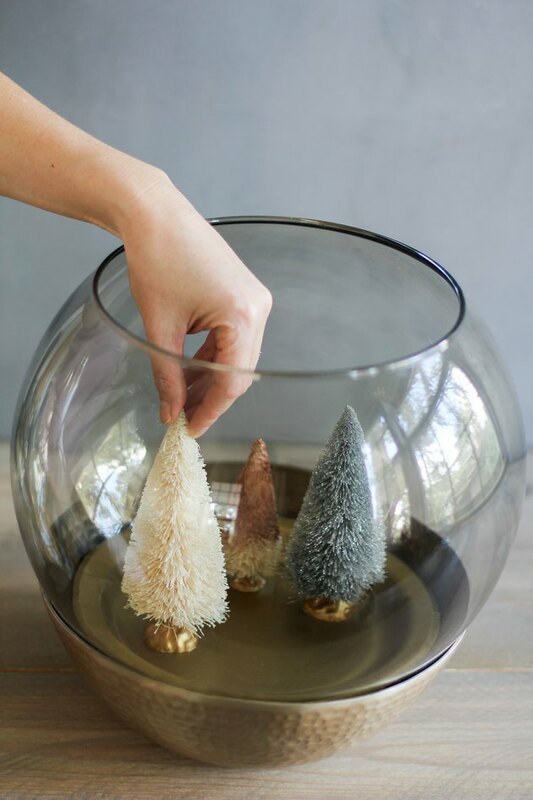 Either way, it's a cinch to make, and your winter abode will have a lot more sparkle in it this season. 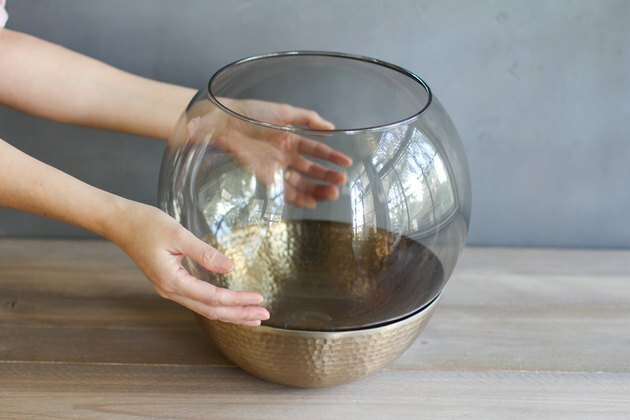 Set the pendant inside a large bowl so that the larger opening of the lamp shade is at the top. 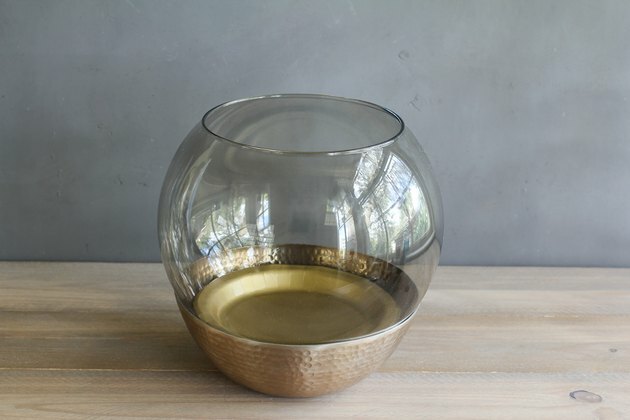 The bowl will act as a sturdy base and will also catch any stray glitter. Place a paper plate inside the pendant to create a flat ledge inside. We used a gold-colored paper plate so that it would blend in more seamlessly with our metallic theme. However, if you don't have a gold one handy, you could simply paint a regular paper plate. 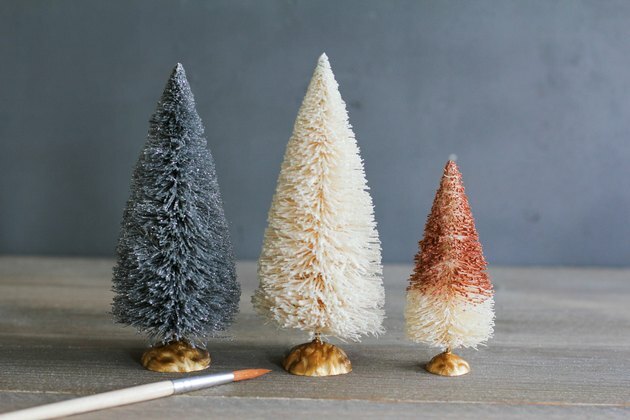 Paint a group of plain bottle brush trees using a variety of metallic paint colors (or simply buy metallic-colored trees). 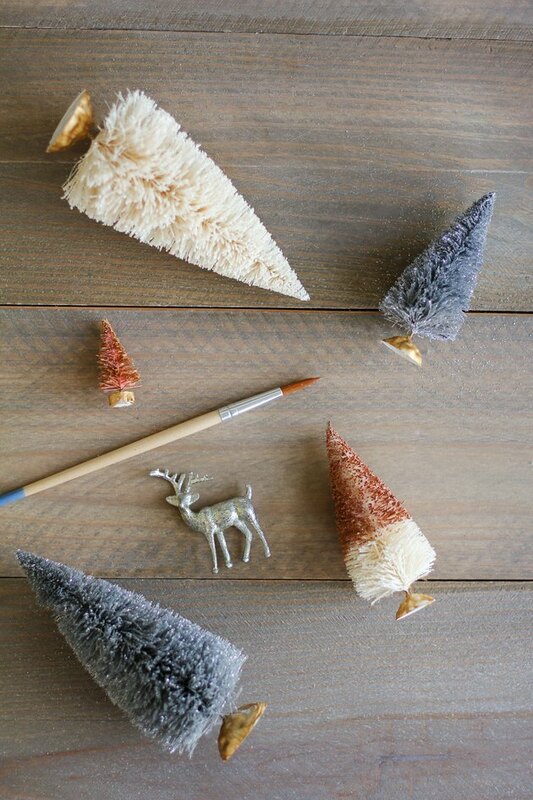 We purchased a set of ivory and silver trees, and painted some of the ivory ones copper. 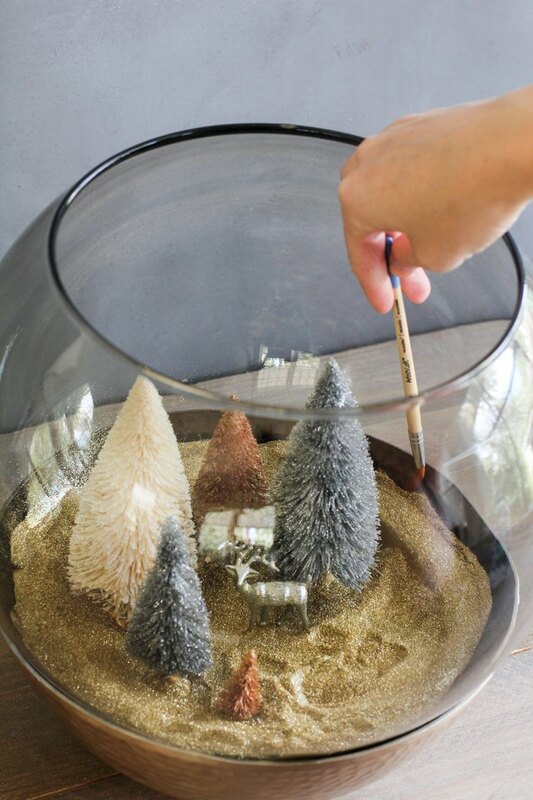 You can either paint them with a paintbrush and metallic craft paint, or you can spray paint them with metallic spray paint. If using a paintbrush, be sure to work the paint in between the bristles for fuller coverage. If you don't already have a metallic deer figurine, go ahead and paint that a metallic color as well. We also painted the bases of the trees gold so they'd blend in better with the gold paper plate. 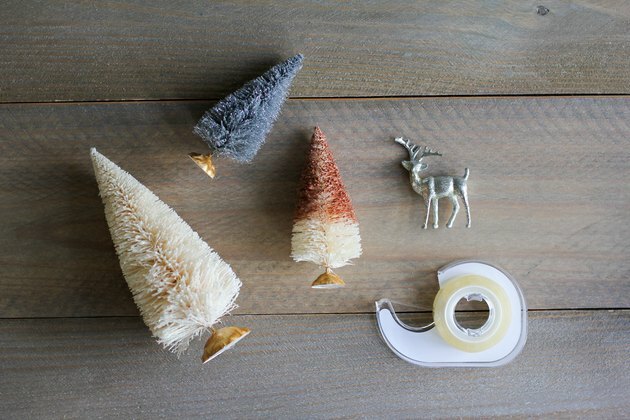 Place double-sided tape or glue dots on the bottoms of the bottle brush trees and deer figurine. 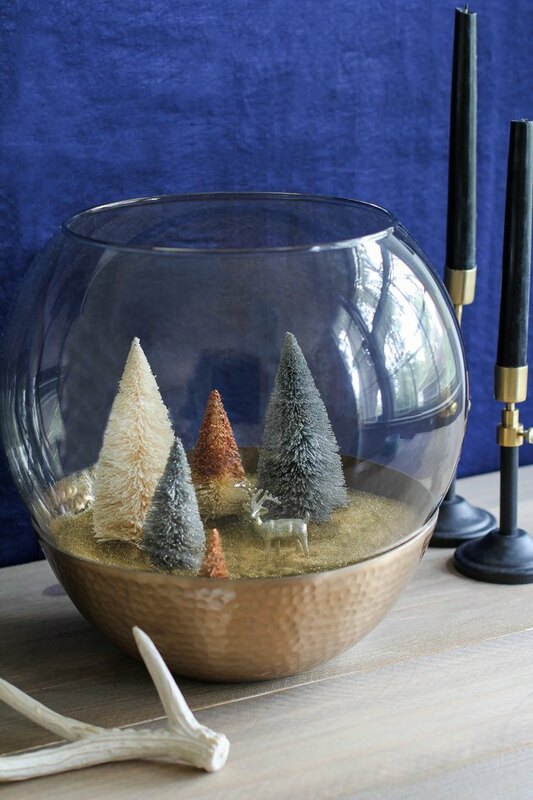 Once you've settled on a desired arrangement, adhere the trees and figurine to the paper plate. 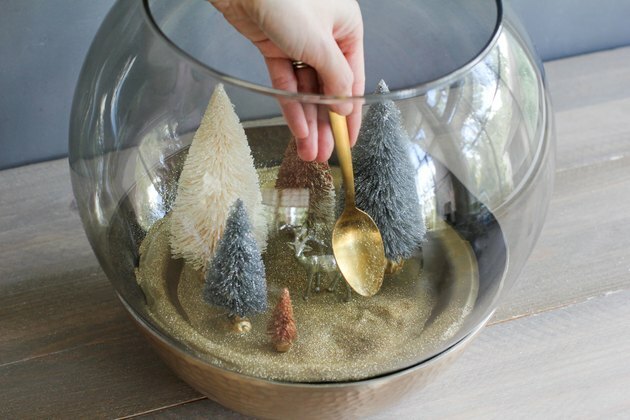 Use a spoon to fill the bottom with glitter. 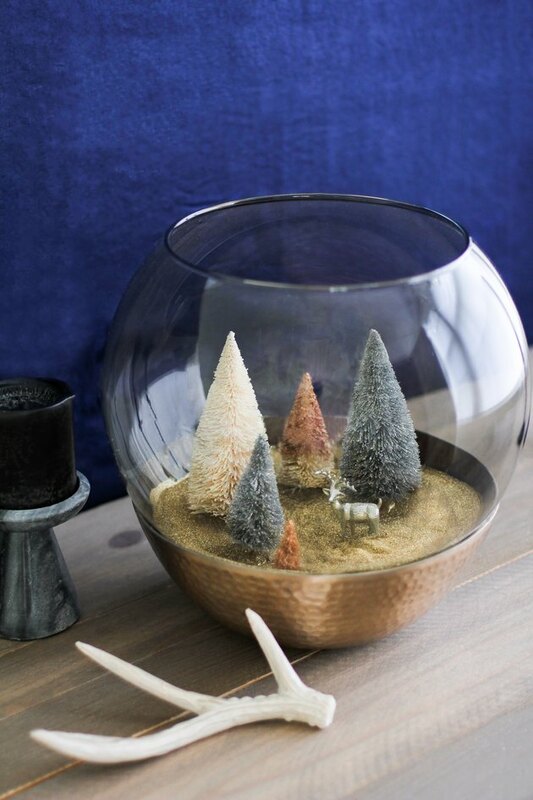 You want to use enough glitter to cover the paper plate and also create the illusion of glistening mounds of snow. 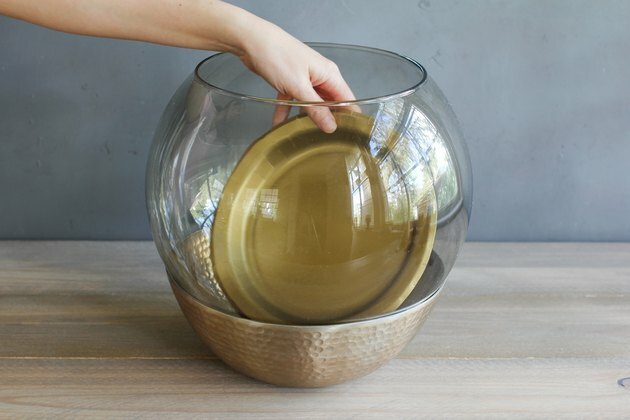 Use a clean paintbrush to brush glitter off the sides of the bowl to create a cleaner edge. 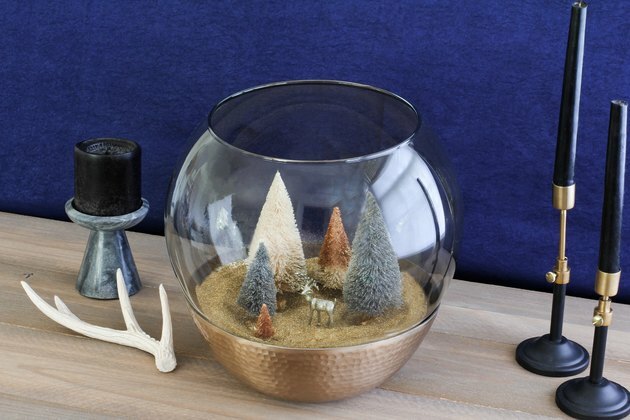 Now your modern metallic holiday scene is set to shimmer and sparkle all winter long.